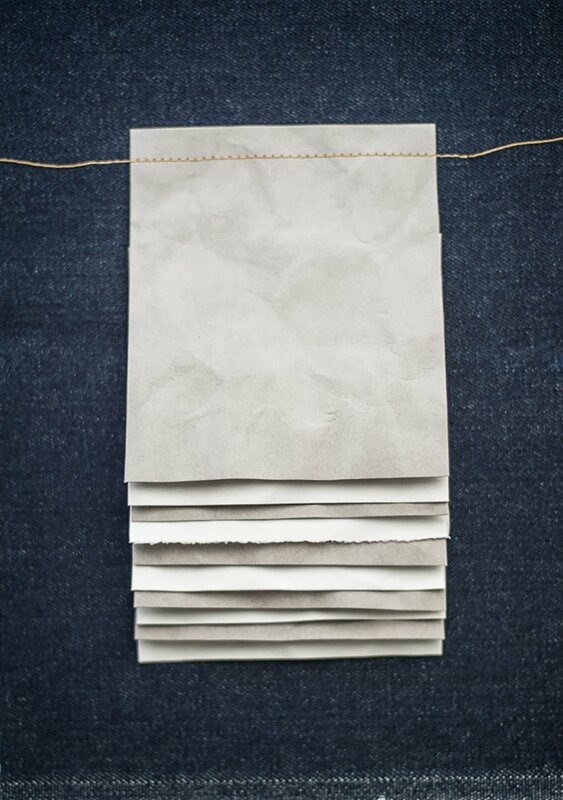 Originating from the paper used to make jeans labels, this washable paper is strong, washable and stitchable. It scrunches and distresses as it is handled. We have made a simple tote bag. You could also make something similar without handles, more basket like, to store your sewing supplies. This paper is thick and robust, you need to sew with a slightly larger stitch and turn through carefully. Either wash by hand or in the washing machine to soften and dry before sewing. 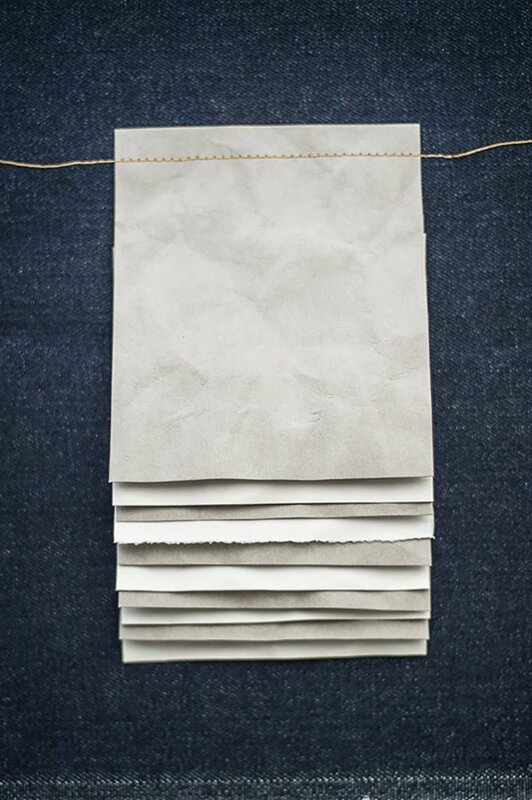 We have dyed this white washable paper with blue Dylon Dye, which absorbs into the cracks giving it a beautifully mottled affect. 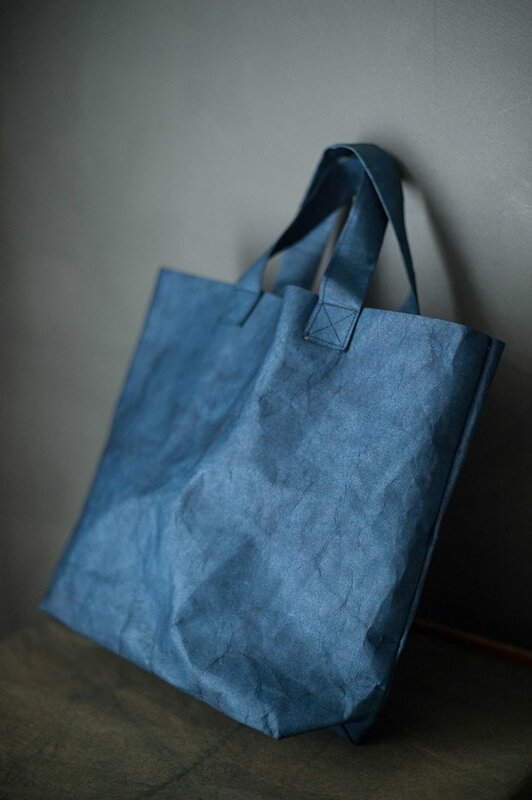 The Tote Bag in the main picture is made from our White Washable Paper and then dyed with Dylon Dye. Although not listed online, we have a small amount left of the grey and kraft versions of this paper. Please email for details.